For eight seasons now, Philadelphia sports fans have come to rely on Dunkin’ Donuts as a true partner in their passion for Philadelphia Eagles football. Whether it’s a free cup of coffee through the “Eagles Win. You Win.” program, a Dunkin’ Donuts Hot Chocolate at the stadium, or walking around town with your Eagles-branded Dunkin’ cup, Dunkin’ Donuts continues - season after season - to fuel the loyalty of Philadelphia Eagles fans. 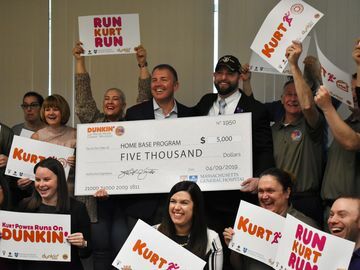 Two years ago, we decided to leverage this passion for football and create a signature local program to positively impact our local communities -- the Dunkin’ Donuts “TouchDDowns for Kids” program. 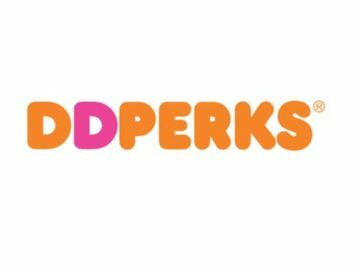 For every Eagles touchdown, Dunkin’ Donuts’ greater Philadelphia franchisees donate $250 to Good Sports, Inc., a non-profit organization providing sports equipment, apparel, and footwear to youth programs in need. Good Sports helps us identify qualified, local youth sports programs and the funds donated through our program go directly to equipment grants for Greater Philadelphia youth organizations. Thanks to the Eagles offense, Dunkin’ Donuts’ greater Philadelphia franchisees have donated a combined $30,000 to Good Sports through “TouchDDowns for Kids.” With a few games to play in 2015, we’ve already committed over $9,000 more to the program. 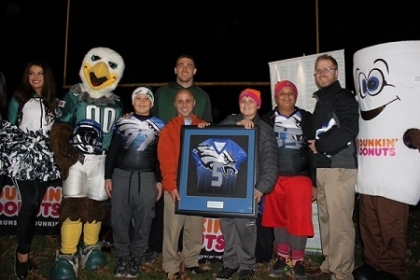 Joining us this season is Eagles tight end Zach Ertz, who serves as a spokesperson for the program. Through his own generosity, Zach offered to commit $250 to Good Sports for each of his own touchdowns this season. Just last month, Zach was able to join us as we donated $20,000 worth of equipment to the Norristown Youth Football Program. 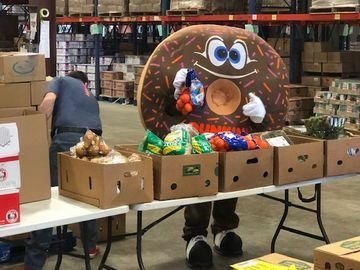 The “TouchDDowns for Kids” program is a tremendous way for us to activate our Eagles partnership while strengthening the communities we are proud to serve each and every day. But the real return of this program is visible on the faces of the kids who get to play and the sincere appreciation from their families at our donation events. 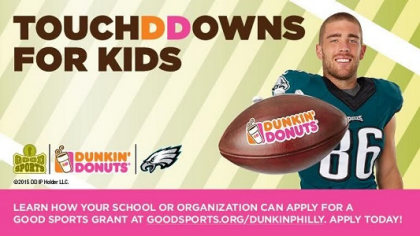 To learn more about the program, visit http://www.philadelphiaeagles.com/community/touchddowns-for-kids.html or www.goodsports.org/dunkinphilly.